When I think of wreaths I automatically think of Christmas. The thing is, you can make and hang wreaths all year round using different materials and designs that correlate with each season or holiday. 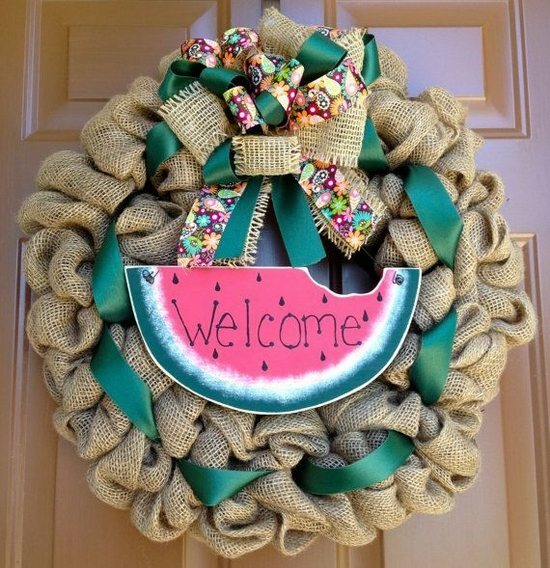 Check out these awesome DIY summer wreaths that you can make, and decorate for summer! 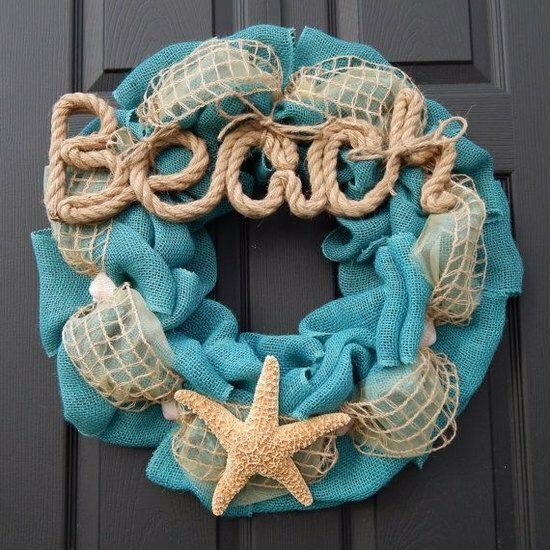 This beach inspired burlap wreath is perfect for summer homes especially if you live near the beach. You can use color burlap, tulle, and organza to capture this look. 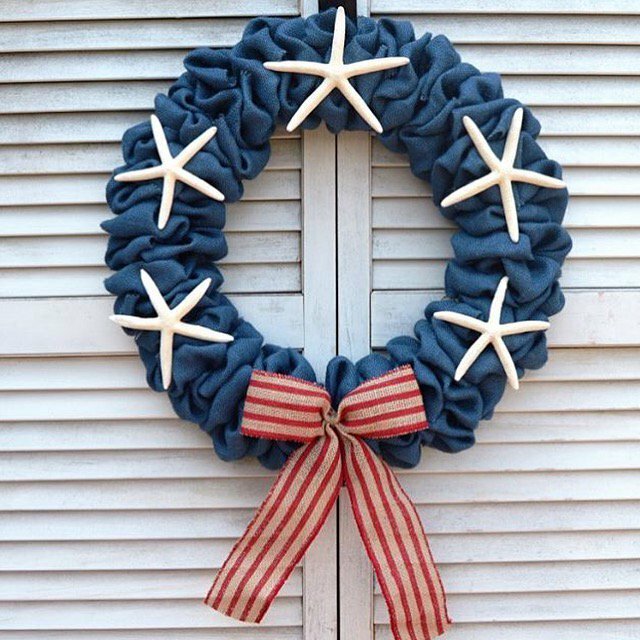 These Fourth of July burlap wreaths by Elliton Crossing are perfect for Independence Day and Memorial Day! 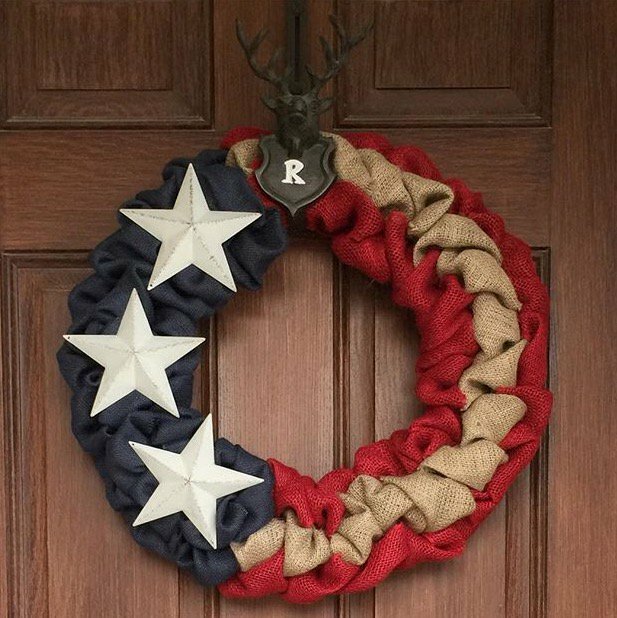 The thing is, you could leave this patriotic wreath up all summer! These wreaths are made out of our sailor navy sultana burlap, natural sultana burlap, and red sultana burlap. Ladybugs are always a colorful sign of summer! 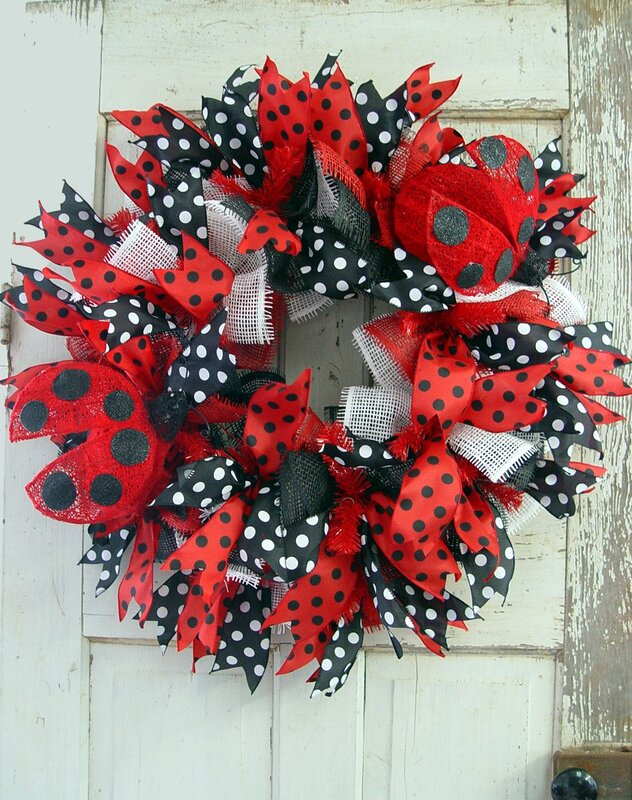 In this wreath there is burlap, ribbon, and felt that complete the ladybug look. The color yellow is perfect for summer because of its brightness that reminds us of the sun. 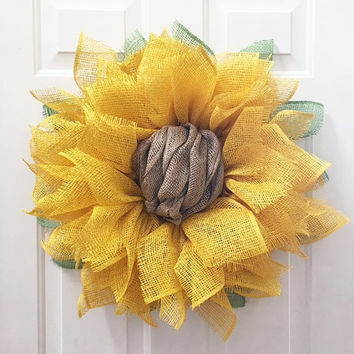 Sunflowers are the flowers of summer that pop and bring out the sunshine, so why not do that with wreaths?! 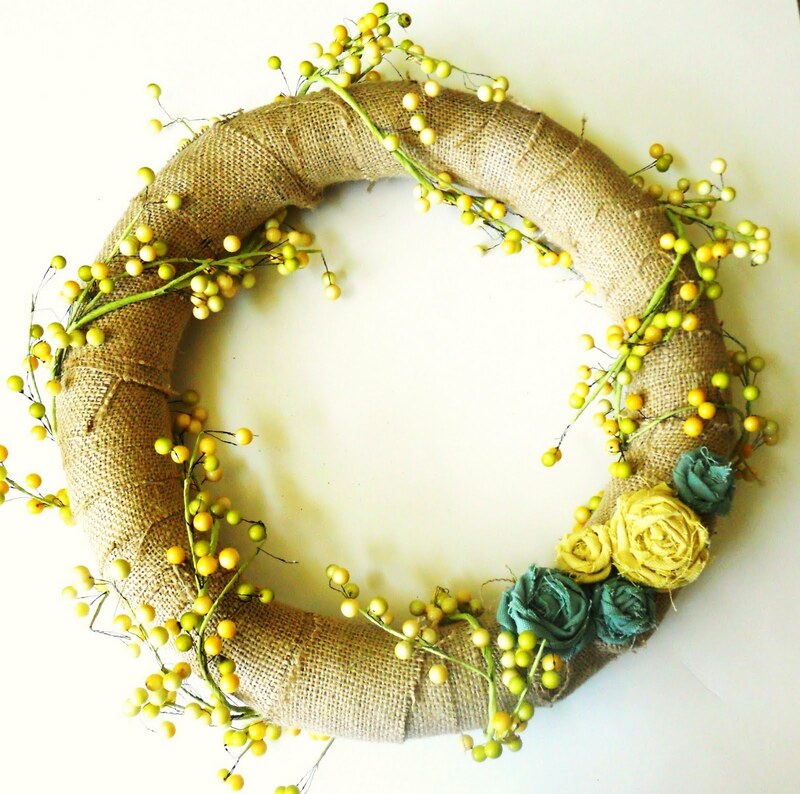 The left wreath is made out of natural burlap and cotton (for the flowers). The sunflower wreath is made out of color burlap and is cut just right to make the shape of a sunflower. 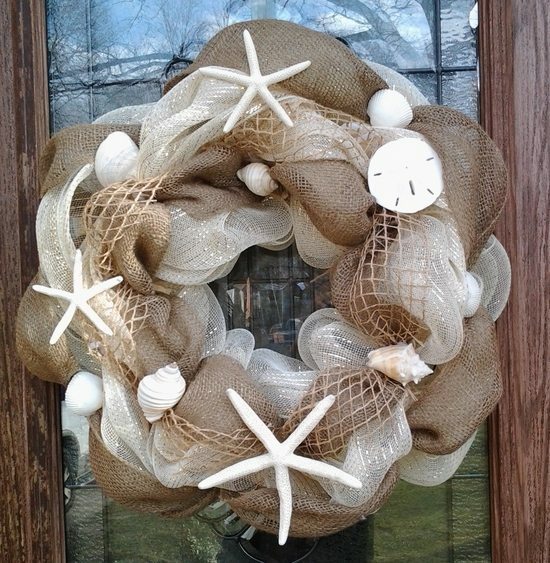 This sea inspired wreath is made out of natural burlap and white burlap with beautiful seashells and starfish attached to it for a nautical look. These two wreaths are just too cute to leave out. 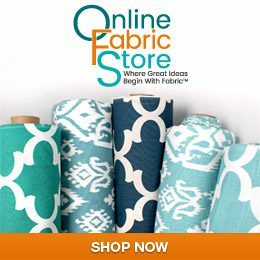 Both are made out of burlap and ribbon and are topped with fun appliques to bring on the summer vibe! This fabric ball wreath was made by myself here at OFS. It's the first time I ever made anything like this and I was happy with how it came out. I used a few different size styrofoam balls, cotton prints, and satin ribbon. 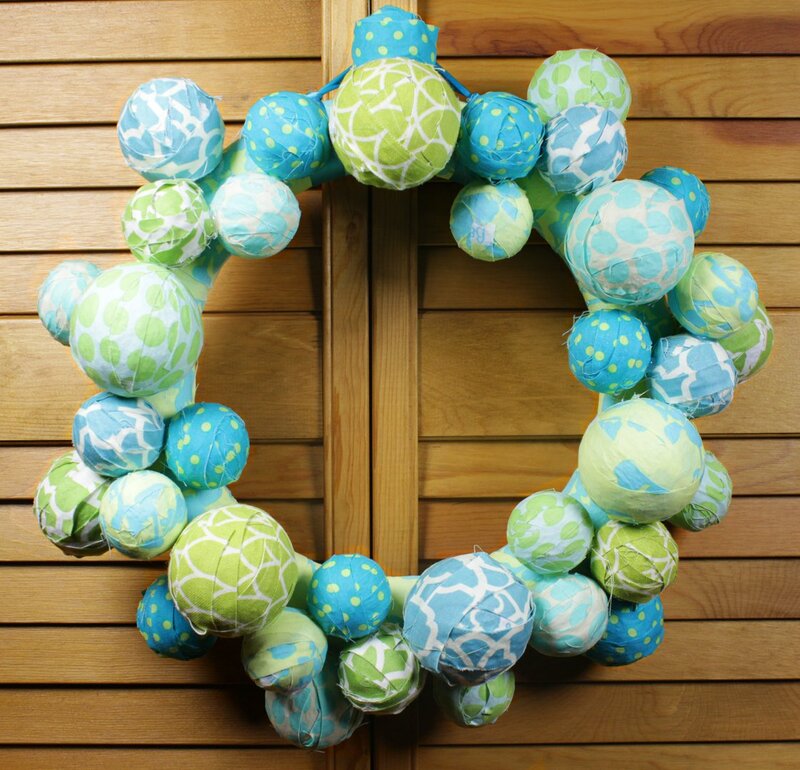 Click here to watch the tutorial I created on how to make this fabric ball wreath! I absolutely love all of these wreaths and even though I don't typically make them myself, I'm inspired to make more just because they're so creative and decorative! I also love the vibrant colors! 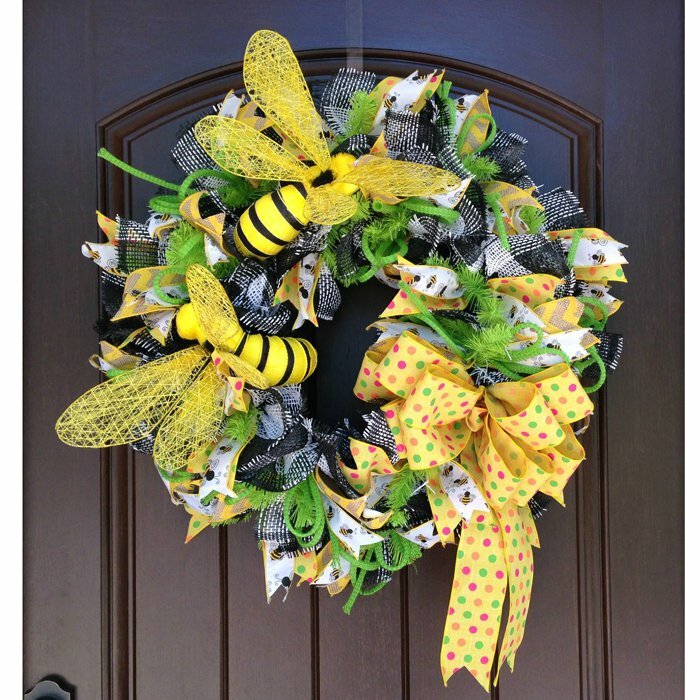 For more inspiration and how-to's check out our Pinterest board on summer wreaths here and let us know if you make one, we love seeing the finish products!